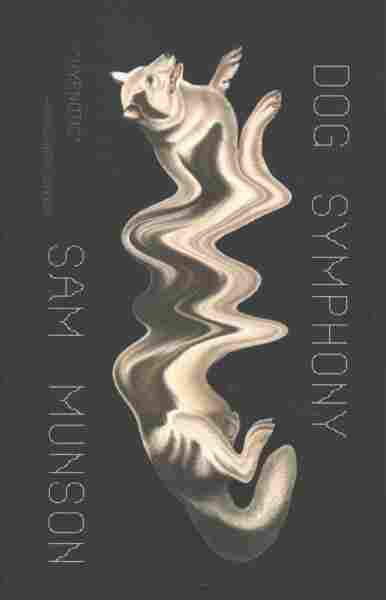 'Dog Symphony' Is Less A Novel Than A Mood Given Form Sam Munson has written a weird book that doesn't try to hide its weirdness. It's nominally about a professor of prison architecture visitng a conference in Buenos Aires — but then there are the dogs. Sam Munson's Dog Symphony is a weird book. We need to establish that before we go any further. It doesn't hide its weird, but it doesn't glorify it either with a lot of tricks or frippery. It is just deeply, congenitally weird in the way that some people are born weird and simply exist that way their entire lives, without trying, without hiding. There's no moment in it that's not weird. It is like Kafka that way. Its oddity is like a long, sustained hum, never varying in pitch or volume, that suffuses every page and every line. You open the book up and the hum begins. It lingers for a few seconds when you close it again, and when the hum is gone you notice it only by its absence as the rational world re-asserts itself. You wonder, What the hell just happened? And where did I go? You went to Munson's Buenos Aires, to an academic conference where one Boris Leonidovich (who occasionally refers to himself as Pasternak, in the third person) has come at the invitation of a colleague and former lover named Ana to lecture on prison architecture — his area of expertise. Boris is a terrible professor who loathes students only slightly more than he loathes his chosen field. He is a schlub — well-traveled and intelligent, we're led to believe, but lazy at his core, and with a groaning boredom for almost everything save his own cynicism. But when he gets to Buenos Aires (a city he has never been to, but has memorized through maps and books) something goes sideways. His plane is delayed for hours at the gate. The airport is full of uniformed security that he (an expert on such things) does not recognize. He forgets the keys to his room and spends his first night wandering the silent streets of Buenos Aires where every home and store leaves out bowls of raw meat and water for the wild dogs that roam the city after dark, eating and drinking the offerings left for them, then disappearing at dawn through a crack in the wall of a cemetery. Boris runs with the dogs — hundreds, maybe thousands of them. In the morning, he asks people about them and gets only cryptic answers in return. Everywhere he goes, he hears the same song, which he calls the "Dog Symphony" playing from earbuds and the radios in taxis. Everywhere he goes, he sees people divided into armies — those who seem to accept the dogs (possibly as the ghosts of loved ones who died in a mysterious epidemic a year ago), and those who see them as something much darker, much stranger, much more. Munson is trafficking in surrealism here. In a twisted kind of social satire that has things to say about authoritarianism, fascism, paranoia and man's animal nature, but can only discuss them from behind a cloud of haunted imagery (dog shrines, slavering men with meat on their breath, bloody processing plants, the obscuration of bureaucratic officialdom and the blind power of mobs) that hides everything Boris can't see. Munson is doing an impression of China Mieville doing an impression of Roberto Bolaño — something in the clipped precision of the language making Dog Symphony read like it was translated from Spanish even though it really was not. Dog Symphony is not a novel so much as a mood given chapters and form. It is a horror story where the monsters are bland, but overwhelming in their numbers. It is the nightmare you had last night, but can't quite describe, the words sticking to the roof of your mouth. Dog Symphony is not a novel so much as a mood given chapters and form ... It is the nightmare you had last night, but can't quite describe, the words sticking to the roof of your mouth. And don't get me wrong: Munson is a champion stylist here. He inhabits this world, making it all feel hot and lurid and lived-in and rank. He puts you there with a deliberateness belied by the slow pace and soft curves of the plot. But the place he has created is remarkable because it feels so unreal. Because of small changes (a street here, a name there) and strange voices and the dogs and the bowls and the shrines, Munson seeds paranoia into every line and letter. He captures precisely that sensation of being cut off from a reality that everyone else seems to understand but you; the foreignness of other places, other people, other histories. And if it fails somewhat in the final resolution, that's to be expected because that's where all surrealism fails — the sharp edges of heavy topics blunted by symbolic fluff. Munson has something he wants to say here, for sure. But Boris is his only conduit through which to say it. His eyes are our eyes. His version of events our only truth. And through it all, there's this nagging, back-brain possibility that all of this is only happening in his head. Dog Symphony starts weird, stays weird, ends weird and Boris is our only company, start to finish. You can trust him or not. Believe him or not. But in the dark, the dogs, ultimately, won't care.